Home /Forums /Just Death /Just Death Update #1 - Fixes, HK G3, HiRoller, and Drugs. Just Death Update #1 - Fixes, HK G3, HiRoller, and Drugs. This is the first update of Just Death since the Early Access release a few days ago! I appreciate all the positive support I've received from the community so far! I'm excited about what the future holds for the game. I plan on making weekly updates such as this one, with new content/features/fixes being pushed out to you guys each week - for another year, or until the game is "done". Future updates will be more gameplay centric, I'm still trying to catch my breath from the game's Early Access release. New Vehicle - "HiRoller Luxury SUV"
This is the first of about 12 more vehicles I have to integrate into the project, so expect them to be sprinkled throughout the upcoming updates. I'll also be adding more uniqueness and tweaking handling features of all the vehicles on each update, I don't necessarily log all of these types of things. New Weapon - "HK G3 .308"
This weapon is one of about 40 more weapons I have already created that just need to be integrated, I can't integrate the weapons myself, I need my animator to make a few unique animations for each new weapon so in future updates there may just be batches of 4-5 weapons released at once. When the game progresses further and we start to nail down the balancing issues, I'll try to add equal "spread" of weapons, not just 4 new shotguns at once, for instance. I've taken the first steps of integrating drugs into the game, you can browse all 5 kinds of drugs in the HQ purchase screen. 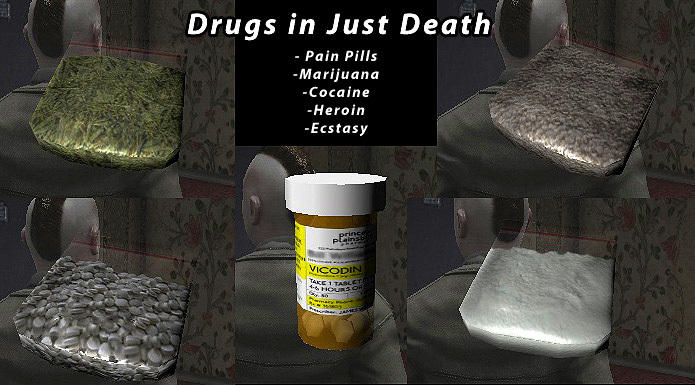 There are basically two types of drugs, gameplay-wise... Pain killers, which heal your character (previously there was no way to regain health)....and Cocaine, Weed, Heroin, and Ecstasy, which you (and/or your gang) can sell to civilians for a profit. There will be a finite amount of money available to the civilian population in an area, and some areas will recharge faster. So this will put importance on controlling territory in the game world. I will also integrate a per-server/per-game instance of a supply/demand marketplace simulation, so you can't just sell the same drugs over and over. Please keep in mind this is the first build with drugs in the game, so only the painkillers are working at this first iteration. - Remove smoothing transition from character’s orientation -> goal aiming orientation, should remove “warping” effects when aiming. - Fix Melee killing people in spawn Online. - Don’t open “store” while chatting Online, cancel all interactions while chatting Online. - Only show stationary jumping animation for now, until final jump code is in. Remove jump code -> Bunny hopping ?!? - Spawn in random HQs online, not always same spawn location. - Show vehicle’s top speed, weight, and more information on purchase screen, still need to hand-customize the values shown to player. - Make it so you can’t exit vehicle if you’d be outside of world. - Make it so you can’t exit your vehicle if you’d collide with a building [ perform raycast on vehicle exit request ]. - Pill bottle sound when you use painkillers. - Fix bug with >= not being in weapon purchase code Online (now you can buy a weapon if you have exact cash). - Fix some issues with the 'use' animations of the HK G3, Tec9, AUG, and AK47 - should look a lot better online & offline now. - Fixed bug with shooting/use animations don't 'loop' constantly online. - Painkillers should work Online. 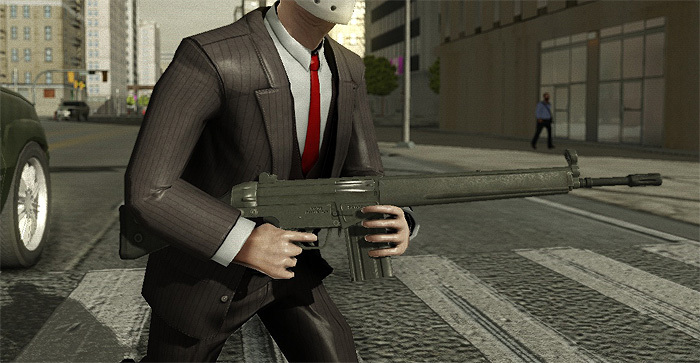 - Damage is reduced and randomized Online, if you're inside a vehicle, to simulate the limited protection a vehicle offers from bullets. I'm really happy to see some cool screenshots uploaded by the community, I'll share a few of my favorites here! Thanks a lot guys, I appreciate your continued support while I finish this Early Access product. Patience is definitely a virtue of anyone who will want to purchase this game, so please keep that in mind. Otherwise, if you've already picked up the project, and you appreciate my work or enjoy the product so far, please leave a nice review below, e-mail me, or post on the Steam community forum. I'll check the game later and see the new stuff, I haven't got much time to play lately. Keep up the good work! !